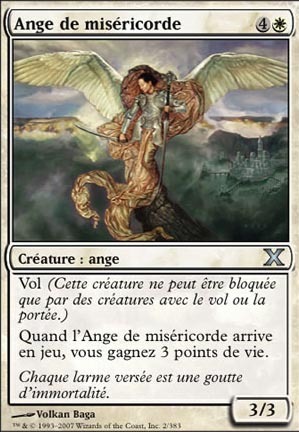 Vol Quand l'Ange de miséricorde arrive en jeu, vous gagnez 3 points de vie. Flying (This creature can’t be blocked except by creatures with flying.). When Angel of Mercy comes into play, you gain 3 life.